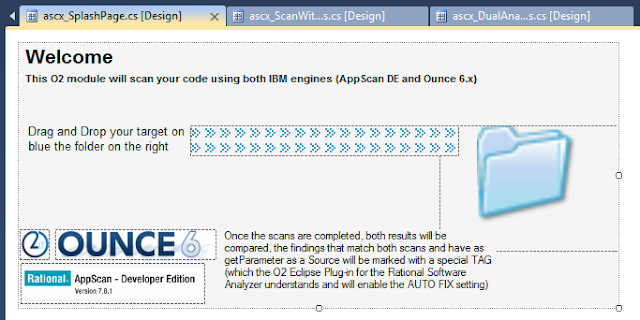 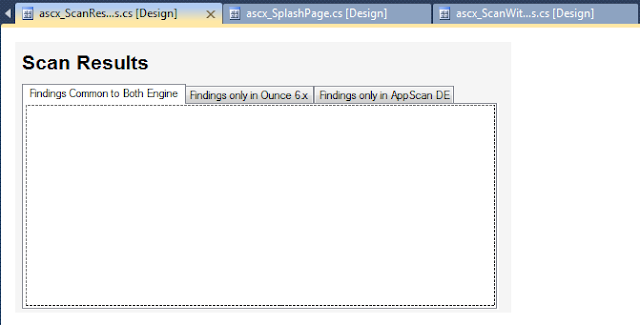 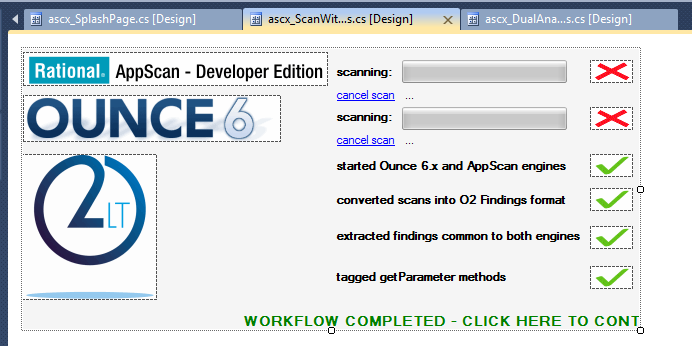 The 'Code Fix Tag' was a pretty cool feature that I was able to add to IBM Rational Software Analyzer (via an Eclipse Plug-in), where O2 Findings could be mapped to source code, and the developer exposed to recommended code-fixes directly on his IDE (Elipse). Note how this simple example showed 3 different tools (Ounce 6, AppScan Developer, Rational Software Analyzer) working together to create an environment where the developer's effort to fix security vulnerabilities was dramatically reduced. 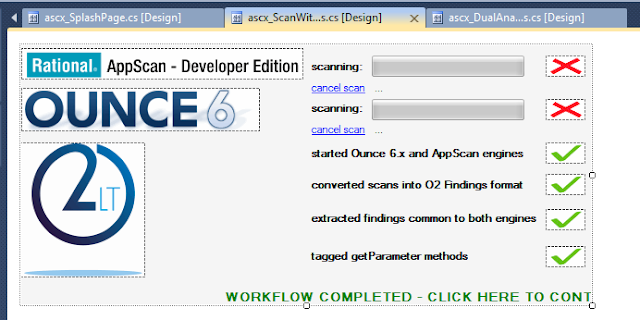 This is the type of workflow that I described in my AppScan 2011 post, and one that when we get it right, will dramatically change how application security knowledge is created, distributed and consumed.